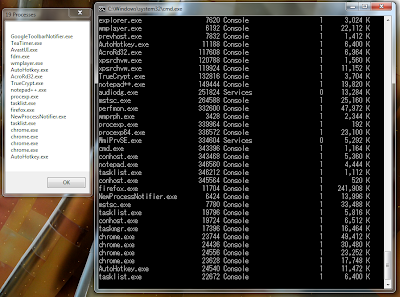 Overview: This is a small background script which notifies newly created/closed processes and logs those information. 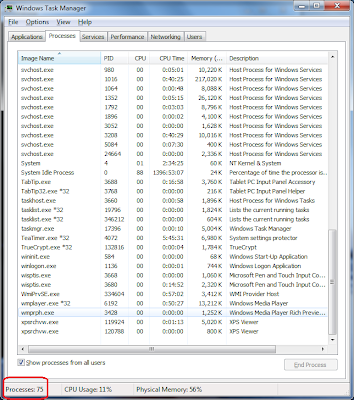 1.1.0 Aug 31, 2010 No more use of tasklist.exe and compatible with XP home. 1.0.1 Aug 17, 2010 No more use of clipboard and compatible with XP Pro. Thanks: Lexikos for the demonstration of the COM usage. and the messing with the clipboard. check the Example #4 in http://www.autohotke...nds/Process.htm to see how to obtain the taslist without the use of external programs. or you could pipe the output of tasklist to a file (or a named pipe) and read from that, instead of using the clipboard. That method seems to have an incompatibility issue with Windows 7. I had been looking for a way without creating an external file to read the output. This seems to be the most efficient way. Thanks for the suggestion. 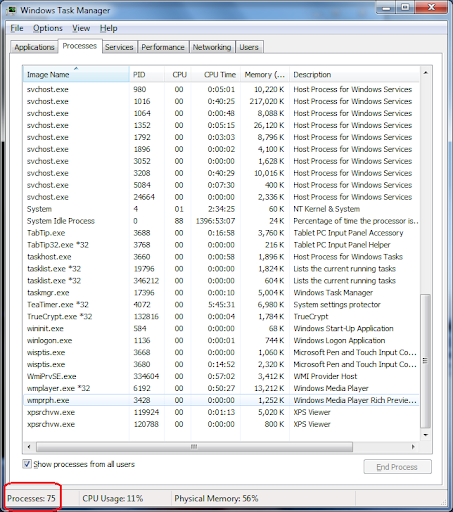 ; Get WMI service object. Feel free to use any part of the script however you like. Btw, XP Home does not include tasklist.exe. Is it possible to get the User Name who created a process with COM? but not with GetOwner. It seems I need to learn how to use COM first. ...do you have any more information on this? I used Example 4 to create my ProcessGet() function, so I'd need to have someone test it & report what don't work on Win7 (& Vista). So, assuming you already tried the Example 4 code, what didn't work?...or technically, exactly what does happen, when you try it? I'd need to have someone test it & report what don't work on Win7 (& Vista). 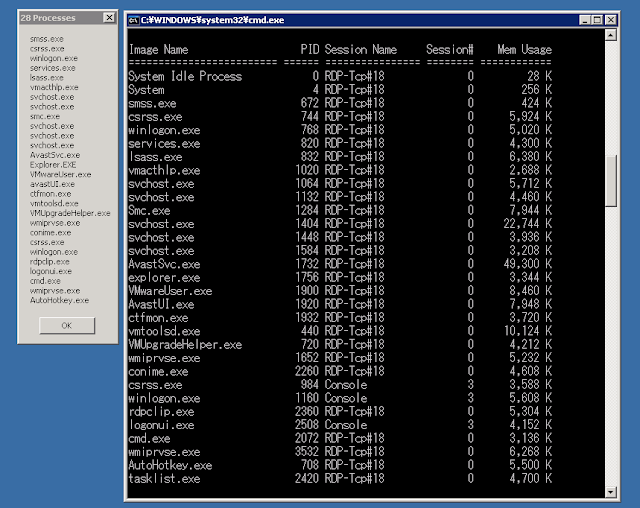 Ok, here is the report from XP(32bit) and 7(64bit). I used the exact code from the manual (Process:Example#4) quoted below. 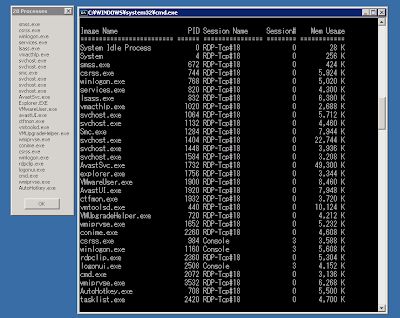 ; Example #4: Retrieves a list of running processes via DllCall then shows them in a MsgBox. It does not detect all the tasks on 7(64bit) but seems to function on XP. 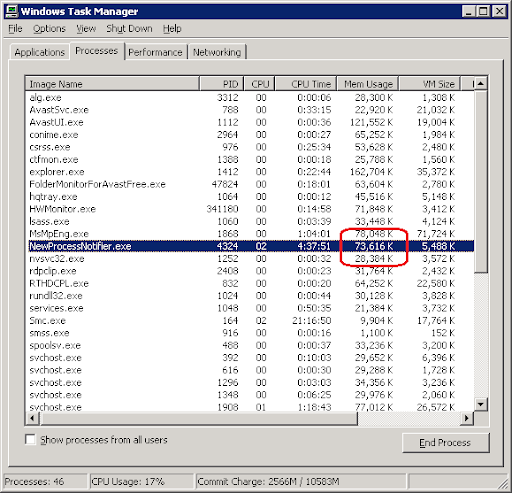 By the way, running more than 24 hours of this script on the XP machine is getting huge on the memory usage..... It's no happening on my 7(64bit). Yes. GetOwner uses ByRef parameters. global user, domain  ; If in a function. 0x4008 is a combination of VT_BYREF (0x4000) and VT_BSTR (8). More code is needed for AutoHotkey_L as it doesn't directly support ByRef parameters. Hi, maybe someone can help me. I realize this is an old thread but I cant find this information elsewhere. It seems to detect new processes starting and stopping but when the traytip pops up, it shows the code verbatim. I.E. "proc.ProcessID" shows instead of the process ID. The proc variable seems to be empty at that point which I assume is whats causing the problem, but this code is beyond me and I cant figure out why that is. For it to literally show proc.ProcessID, you must have copied the script incorrectly. It's easy to do, since the code is littered with color tags that shouldn't be there. If you do MsgBox % proc and it contains an object, it will "appear empty" because an object cannot be implicitly converted to a string. I think i successfully edited the code above. At first it didnt work at least two error. Now working fine. I wanted to auto close any new process using the code below. Can someone do the code for me . Please.. .
TrayTip New Process Detected, % "
TrayTip Process Terminated, % "
MIA's edited script works fine on Windows 8.1 with no errors. How to include logging functions?